VERMONT TOURISM NETWORK - Your Vermont Group Tour Planning Resource! 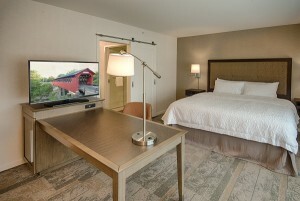 Welcome to Hampton Inn & Suites Manchester, set in the picturesque Green Mountains of Southern Vermont. 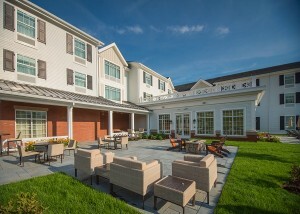 Centrally located in downtown Manchester, the 97-room hotel is walking distance to shops, outlets, and restaurants. 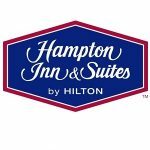 Close by to Bennington and Manchester area attractions including Hildene, The Lincoln Family Home and Stratton and Bromley Mountains. Manchester is a popular group destination along with weddings, corporate events, reunions, shopping excursions, and sports tournaments, there is always a reason to visit. 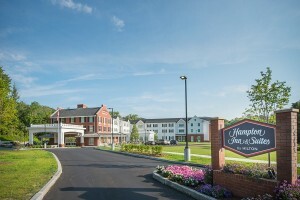 Reminiscent of a historic New England farmhouse, this uniquely designed hotel embodies tradition with modern sensibilities. 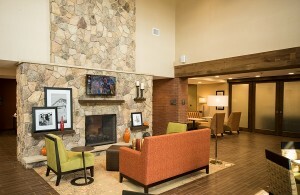 Outdoor seating areas with a fire pit, and lush landscaping welcome you and make you feel right at home. We offer both traditional rooms and studio suites all under one roof, with microwaves and small refrigerators, and coffee makers in every room. So however you travel, we’ve got you covered. 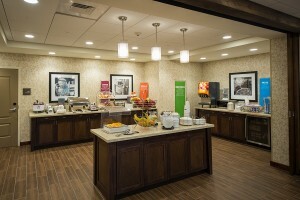 Along with complimentary hot breakfast and free wi-fi, we also offer coffee and tea 24-7. 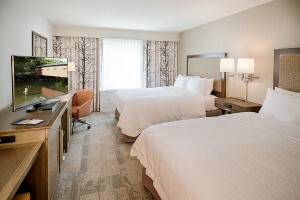 Rates vary; 10 rooms minimum. Luggage handling available for additional charge.